Infant nutrition refers to the additional diet that is exclusively provided to infants, like various type of milk formulas. Infant nutrition typically comprises of dried and prepared food, specialty baby milk, follow-on milk, growing milk and infant milk. In the last decade, there has been a growing population of young working mothers, which has been one of the primary factors for the growth of this Middle East and Africa infant nutrition market. According to the International Labor Organization, by 2017, female population participation above the age of 15, was 48.67%, which was marginally lower from 48.78% in 2015. Typically, the target population of infant food products is the 1-4 year age group, which is rapidly growing. This population base prevalent in different regional markets has a competitive advantage over the booming infant food industry in the Middle East and Africa. Additionally, parents in this region are growing aware regarding the use and benefits of baby food. The changing workforce dynamics are leading to increasing participation of women, resulting in time constraints with regard to feeding. This had led to wider adoption of infant food, due to its convenience and packaging. Thus, the region is witnessing a surge in the uptake of infant nutrition on account of their children’s nutritional requirements, and rising disposable incomes. The high consumer base, rising economy, and high birth rate are expected to contribute heavily to the growing Middle East and Africa infant nutrition market in the years to come. 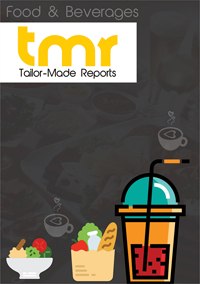 This report on the Middle East and Africa Infant Nutrition market is a comprehensive market intelligence study that brings forth the lucrativeness of the said market. Beginning with an executive summary that comprise a snapshot of how the demand for Middle East and Africa infant nutrition has evolved over the recent past and where is it headed to in the future, the report delves into the analysis of various market dynamics, such as opportunities, trends, challenges, and drivers. A detailed overview of the said market with the analysis of porter’s five forces has been provided in a bid to present a concise and clear landscape of the market vendors to the readers. The market intelligence study also points at mergers, important conglomerates, numerous research and development activities, acquisitions, and corroborations. The Middle East and Africa infant nutrition market is anticipated to rise at a robust CAGR and is anticipated to attain a significant market valuation by the end of the period of forecast. The MENA infant milk formula market is expected to display remarkable growth over the period of forecast, due to the rising nutritional concerns in case of infants. The increase in the number of working women is one of the major factors that are driving the growth of the MENA market for infant nutrition at present. Factors such as increasing disposable income of the consumers and the rapid economic development in the MENA region are also propelling the growth of the infant nutrition market in the region. The market participants are expected to gain new opportunities as there has been an increased emphasis on spending more on the research and development activities by many of the infant nutrition making companies thereby is expected to drive further growth of the international market for Middle East and Africa infant nutrition. Furthermore, many of the market participants are anticipated to make a foray into the emerging economies that are yet to be explored and tapped so as to find new opportunities. Taking regional segmentations into consideration, the world market for Middle East and Africa infant nutrition has been categorized into geographies of GCC countries such as Kingdom of Saudi Arabia (KSA), Bahrain, Egypt, Yemen, Jordan, Qatar, Kuwait, Oman, Morocco, United Arab Emirates (UAE), Algeria, Lebanon, Tunisia, Iraq, and Rest of Middle East and Africa. A few leading market players that are operating in the world market comprise eminent names such as Nestlé S.A., Groupe Danone, Beingmate Baby & Child Food Co. Ltd Pfizer Inc., Abbott Nutrition, Mead Johnson Nutrition, FrieslandCampina, Meiji Holdings Co. Ltd, Beingmate Baby & Child Food Co. Ltd, The Kraft Heinz Company, Synutra International, Inc., and Pfizer Inc.